Most people in South Africa want to have access to health or medical aid systems that are just simple and easy to understand. With the Hosmed Medical Aid, the procedure to getting the best medical care is now as easy as it looks like. This Scheme is open to both the private and public sectors of the country, and it aims to provide the best medical care possible. Established way back in 1988 as a way to provide health care for civil employees, it has now grown to have around 34,000 people as part of its members. Certain reasons have been displayed by the company to the public as to why they should be the choice when it comes to healthcare. Ideally, the main reason that most people prefer to have the services of Hosmed Medical Aid is the value they gain from the policy. It is already known that most people pay a lot of money for their benefits and contributions to the health care package, and with the representation that Hosmed offers, it seems they are the best choice. 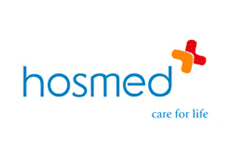 The Hosmed Medical Aid Step Option is one of the first choices that are offered to the general public. This is the scheme that offers admission to all the State run hospitals and facilities. Admission requires the use of the pre-authorisation slip. High risk benefits of the plan also include coverage for the chronic ailments as well as HIV and AIDS. For the former disease, the coverage will be subjected to several protocols and formulary that is stated within the contract. HIV Management cases will also require the pre-enrolment of the member-patient or beneficiary before any treatment or care is administered. The second product line offered by the Hosmed Medical Aid is the Value Plan. Again, for the product, the basic coverage for the high risk benefit is typically the same as that of the Step Option. Perhaps the major benefit this product line offers that is not found with the Step Option is the day-to-day benefit of over the counter medication as this offers a limit of R500 per family or R120 per prescription limit. Other features not covered include mental health treatments, Physiotherapy, and alternative treatment coverage. However, the Plus Choice offers the unlimited practitioner visits while the Value product only allows 21 visits per family. If the best coverage is needed by the member, then the next possible solution that is highly recommended by the company is the Plus Product plan. This is considered as the comprehensive package line that comes with certain limits to basic features and product lines. Certain increases have been noted to the Over the Counter Drugs usage and benefit as compared to the Value Option. Other areas of coverage for the day-to-day benefit have also differences. Some areas compared to the Step Option are also different, and it is crucial to understand the needs first prior to choosing the plan of choice.